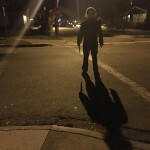 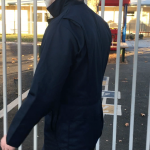 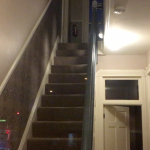 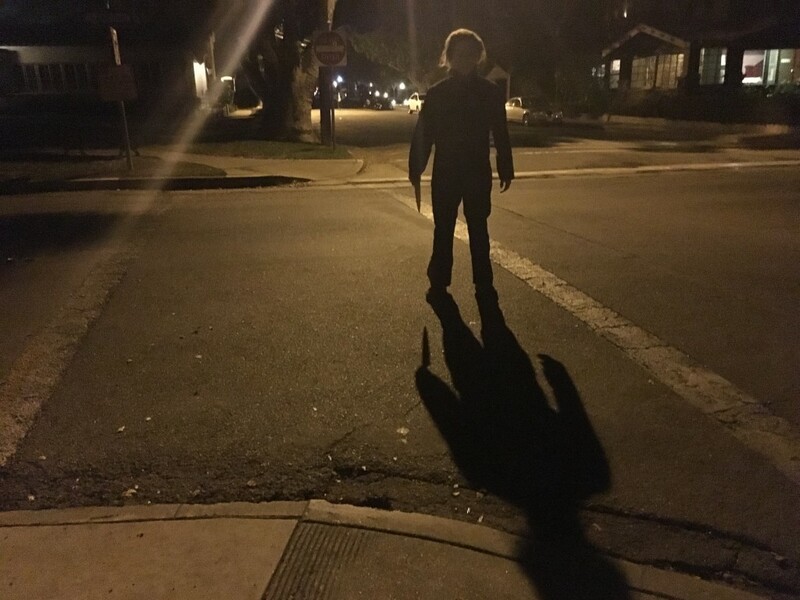 Four decades ago, THE SHAPE stalked unsuspecting teens around the streets of…. 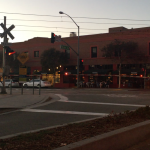 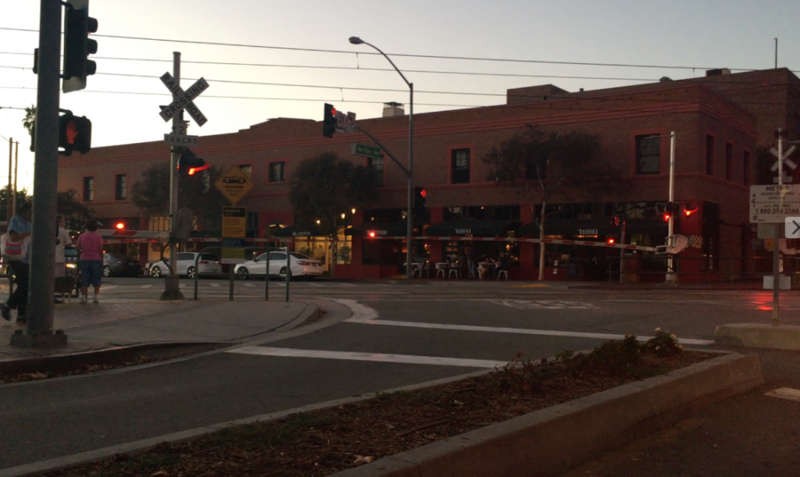 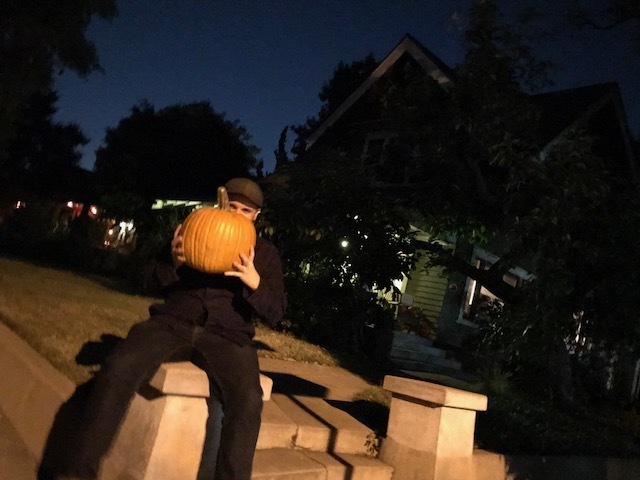 Pasadena? 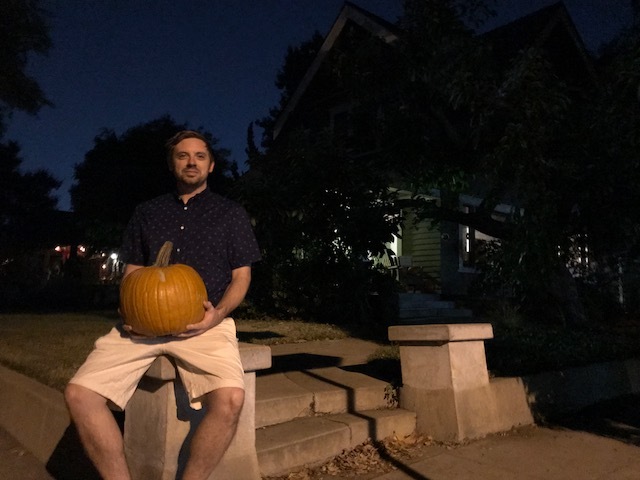 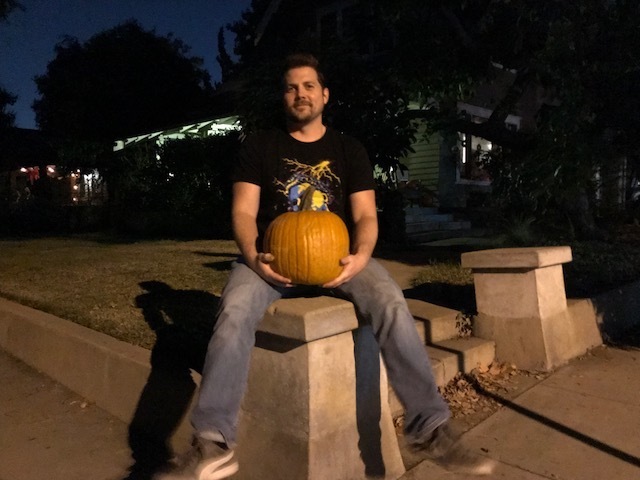 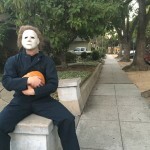 That’s right–the setting of John Carpenter’s classic 1978 film HALLOWEEN is in Haddonfield, Illinois, but it was actually filmed in and around South Pasadena, California, and Hollywood, California. 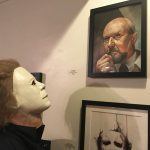 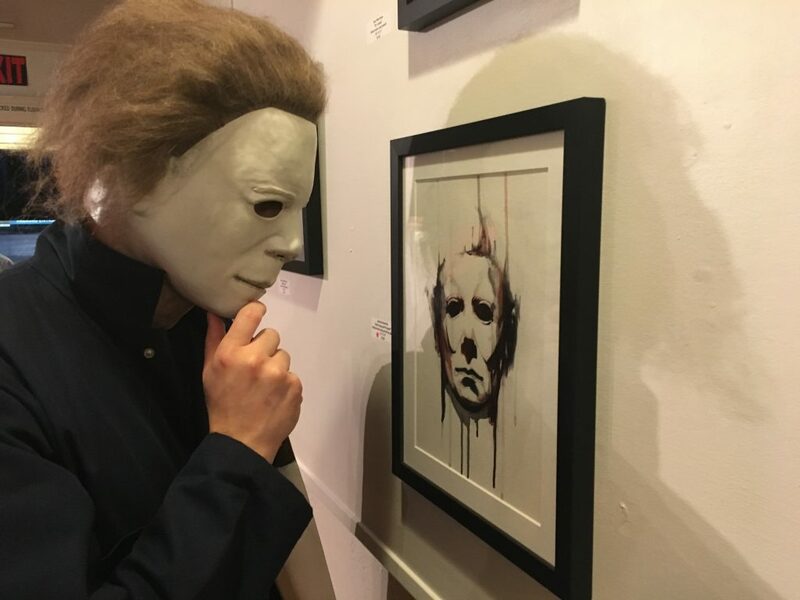 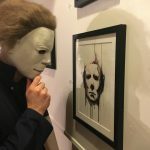 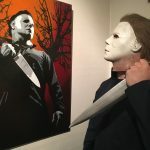 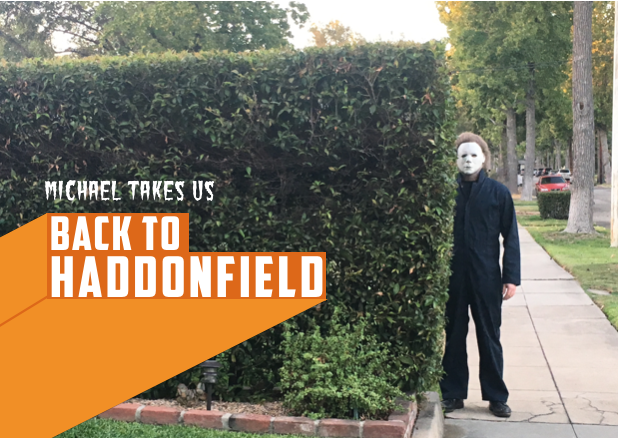 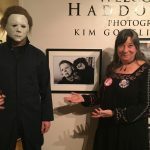 On this 40th anniversary of “the night he came home,” Michael Myers shows us around the sites that were used in the original film in our annual “Tour of Haddonfield.” Enjoy! 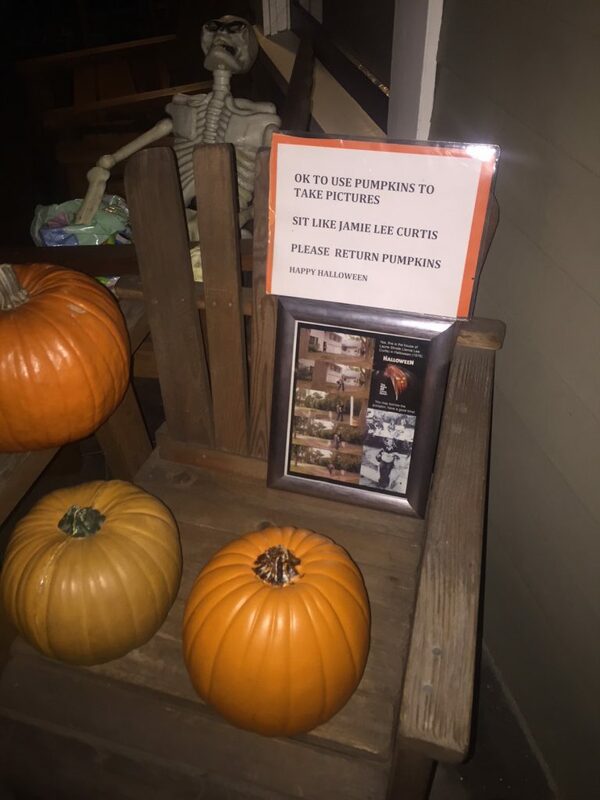 Porch of Laurie’s house today. 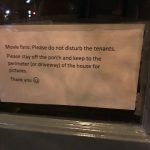 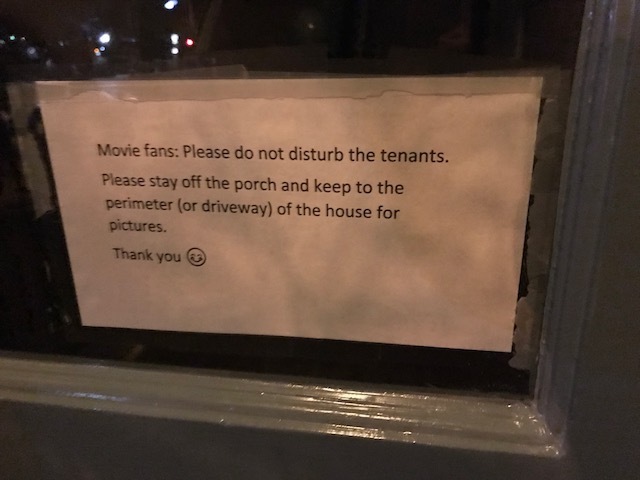 Note on the front door of the Myers house. 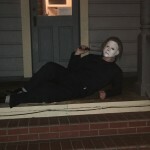 On the steps of the Myers house. 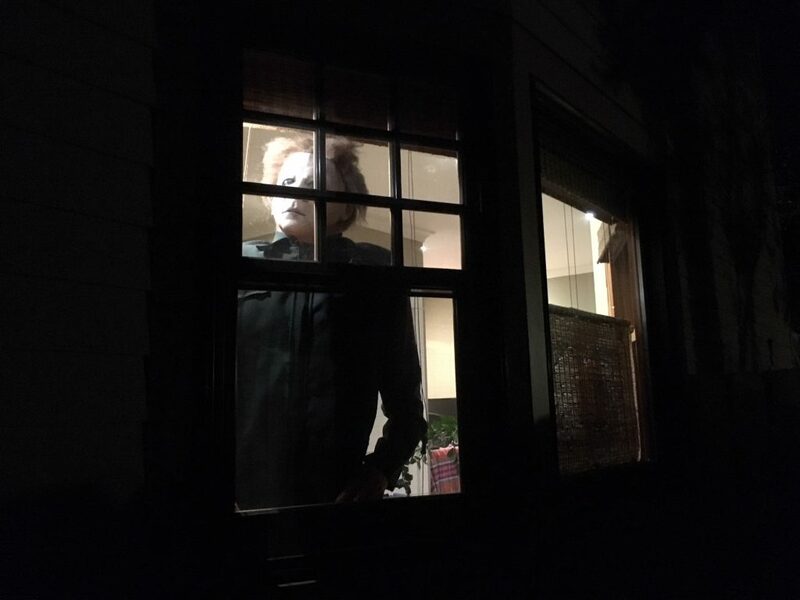 The Shape in window next door to Laurie’s house. 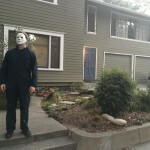 House next door to Laurie’s house. 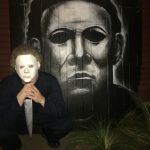 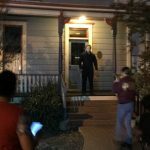 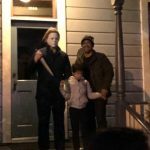 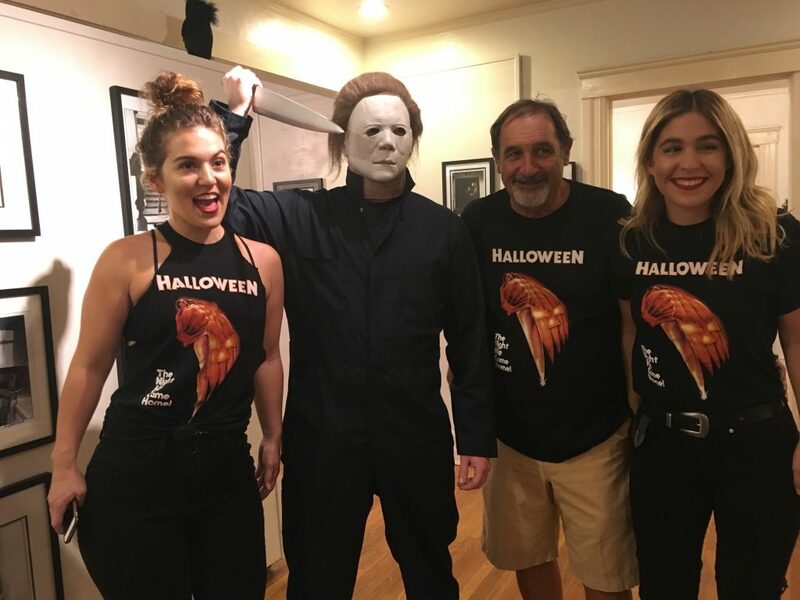 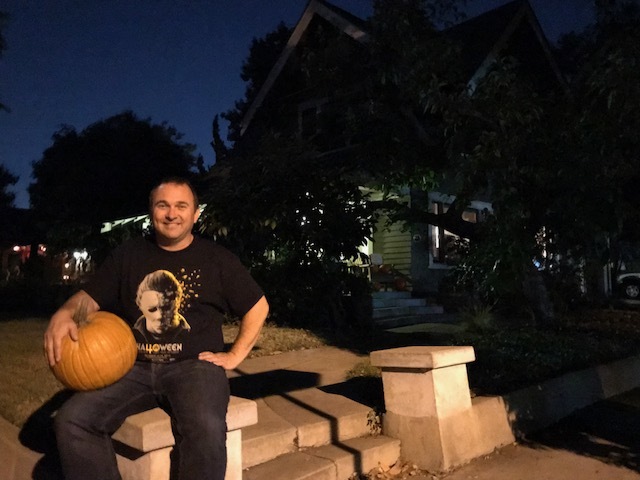 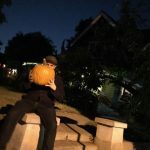 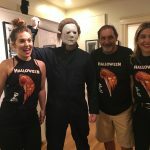 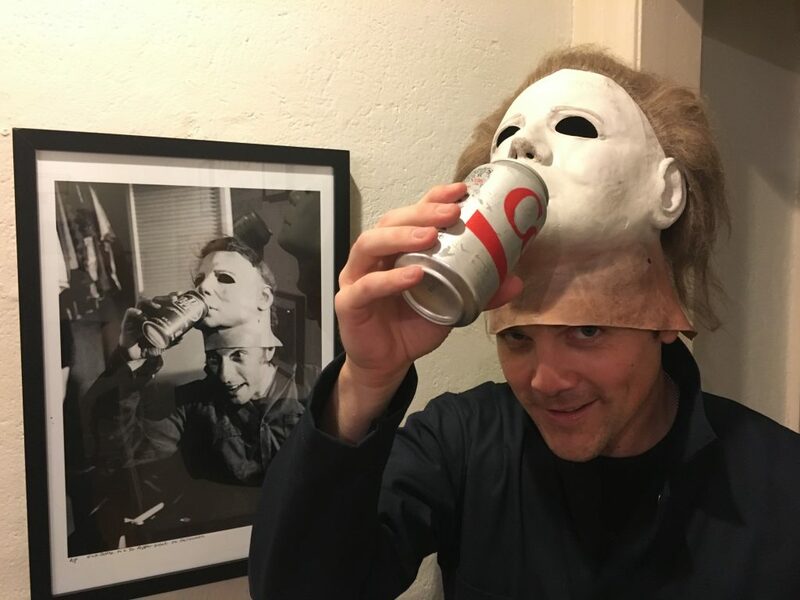 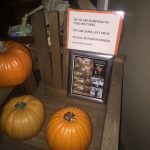 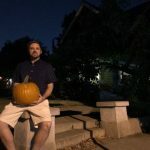 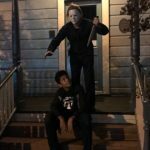 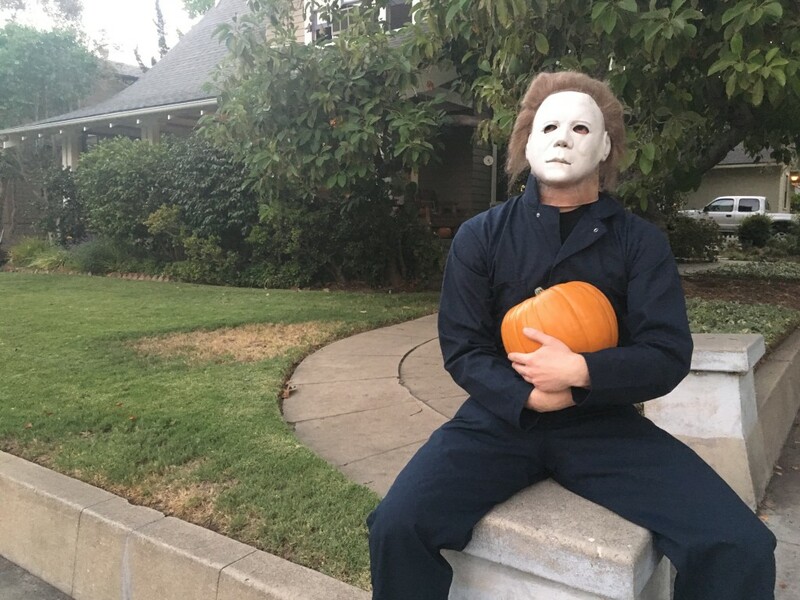 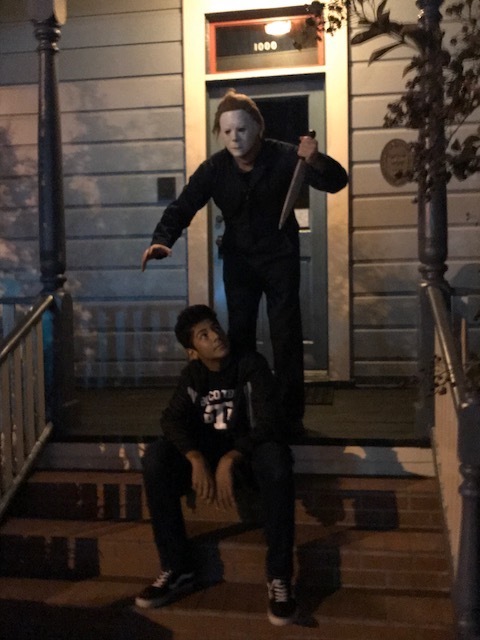 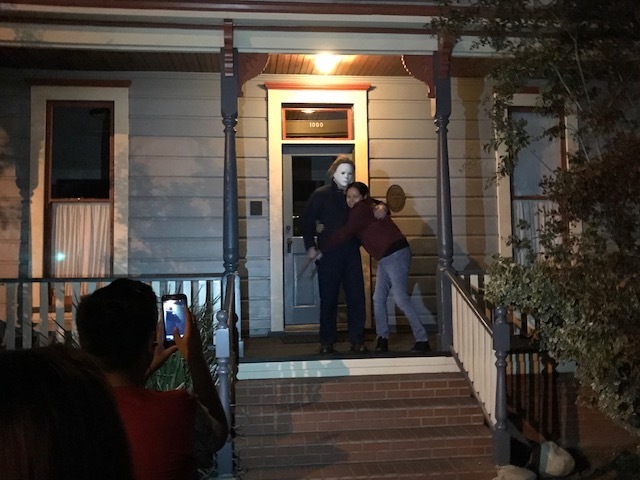 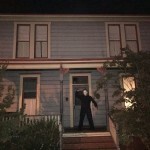 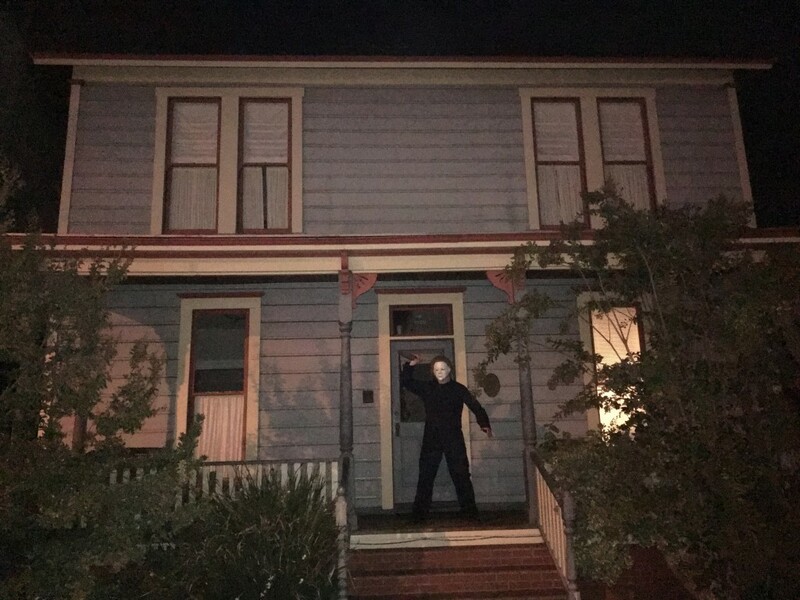 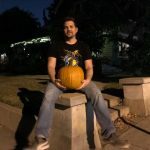 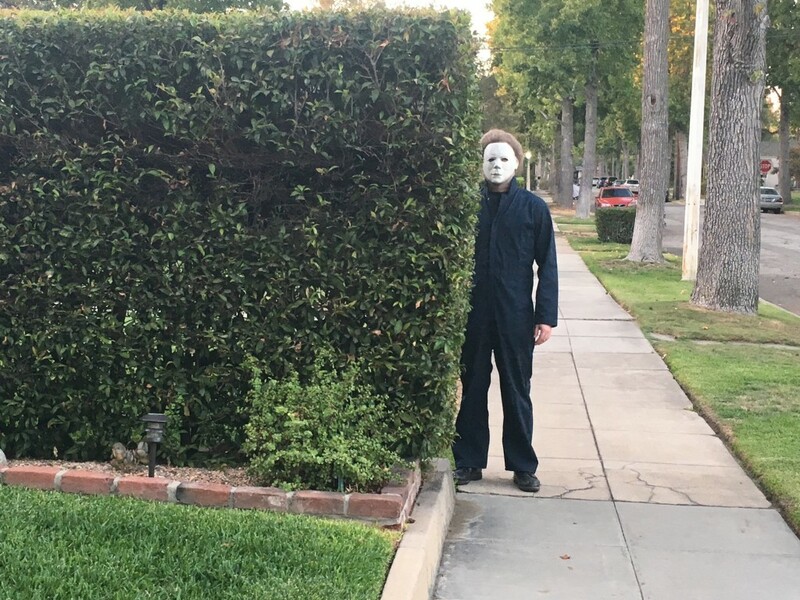 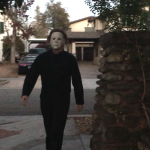 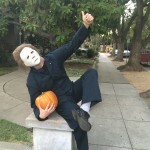 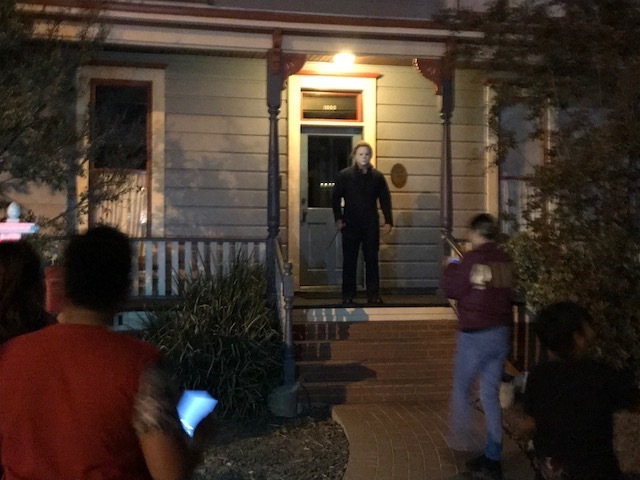 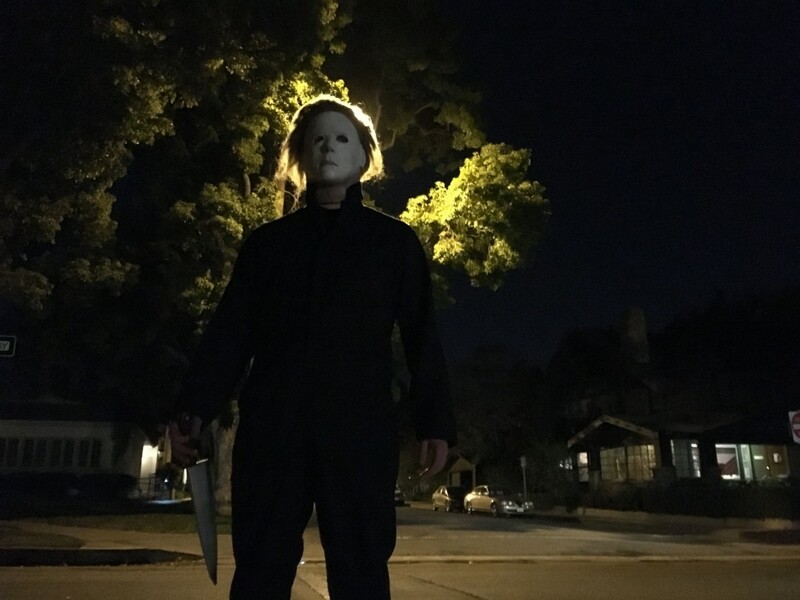 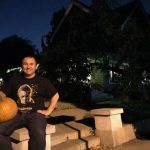 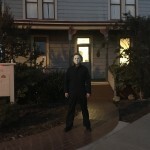 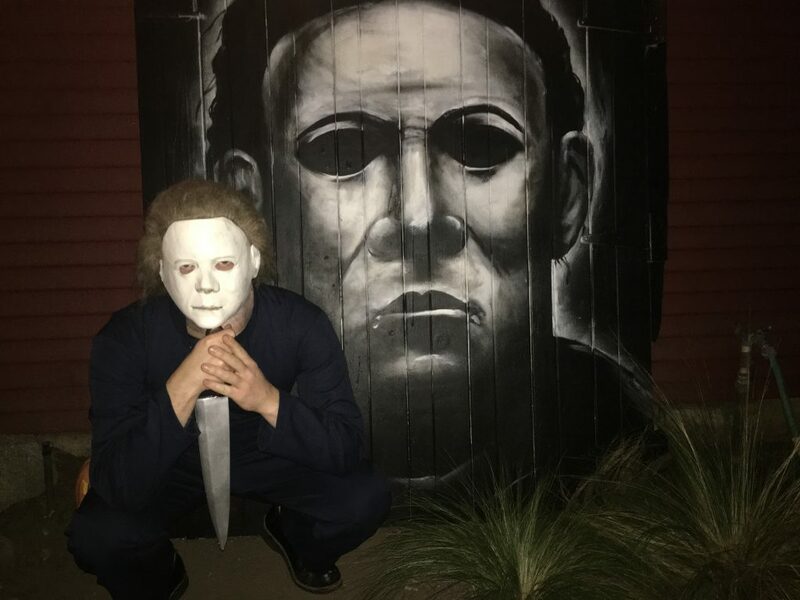 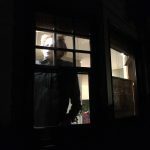 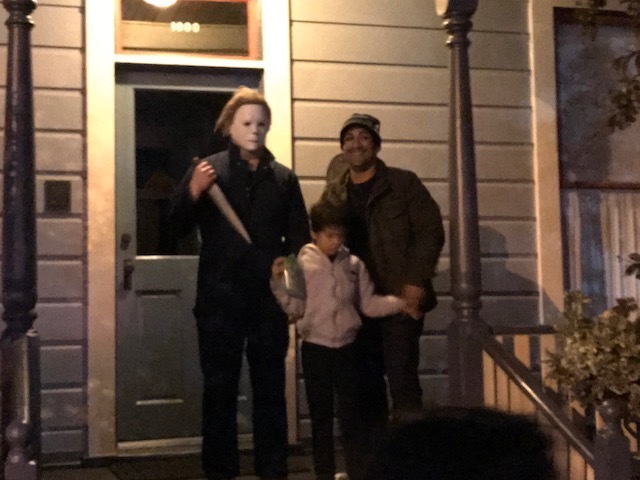 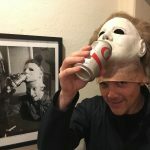 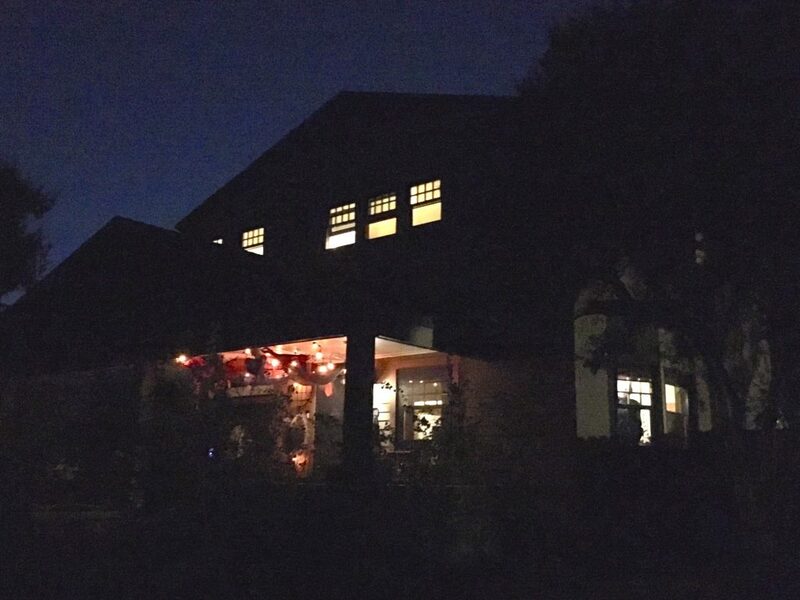 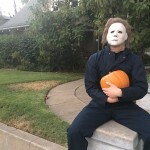 Check this out as Michael Myers shows up at his old house in South Pasadena and scares the terrified tourists who are taking photos — no one expected him to “come home” again! 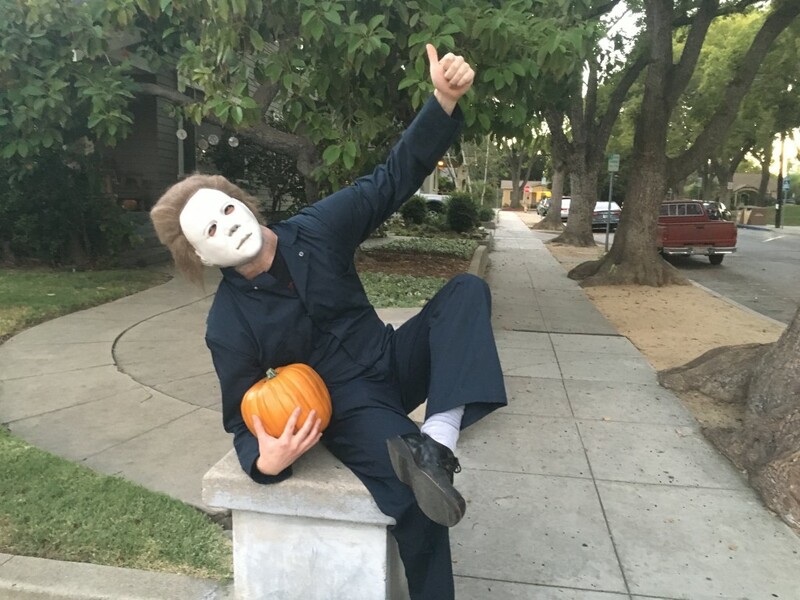 Who says Michael is “all work and now play?” On our tour, Michael showed his funny side, hamming it up for the camera is these fun photos around his neighborhood–which included an art show right behind his house featuring the work of Kim Gotlieb, the on-set photographer for John Carpenter. 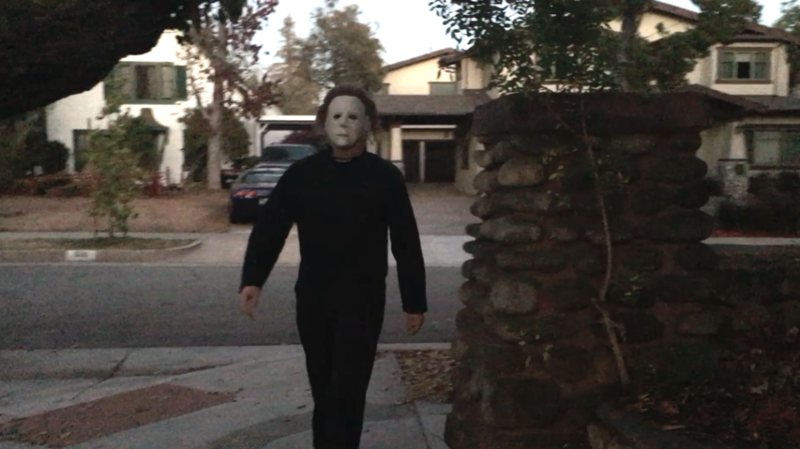 The road where Laurie and friends walked home. 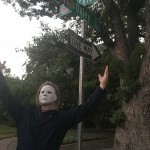 The road signs in front of Laurie’s house. 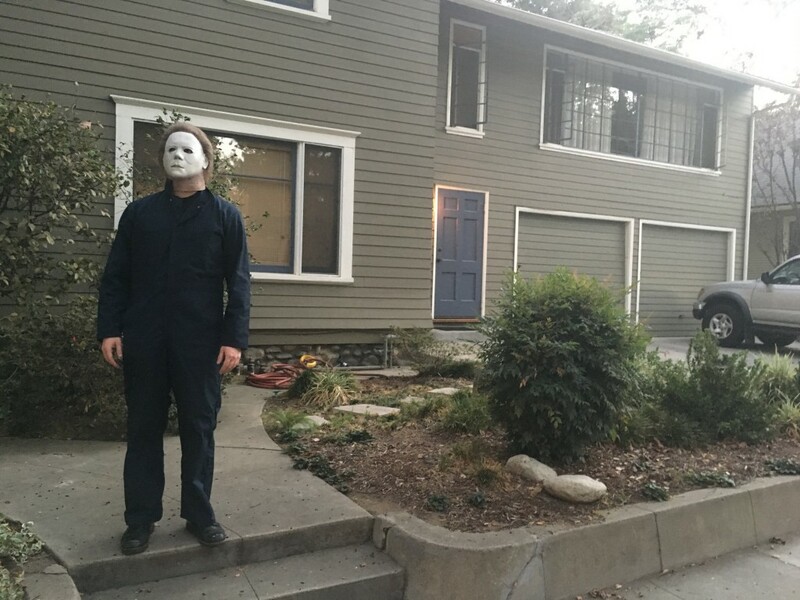 In front of Laurie’s house — he never gives up! 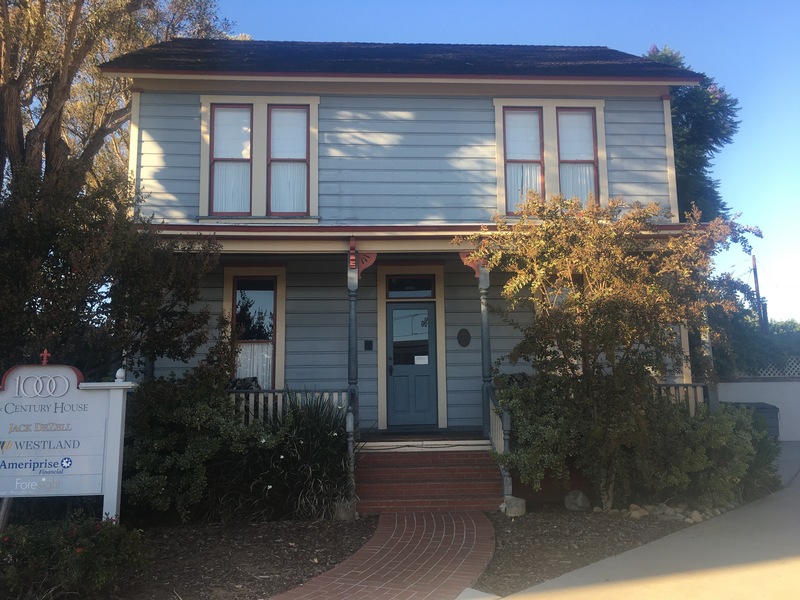 Old Myers House — now an office building. 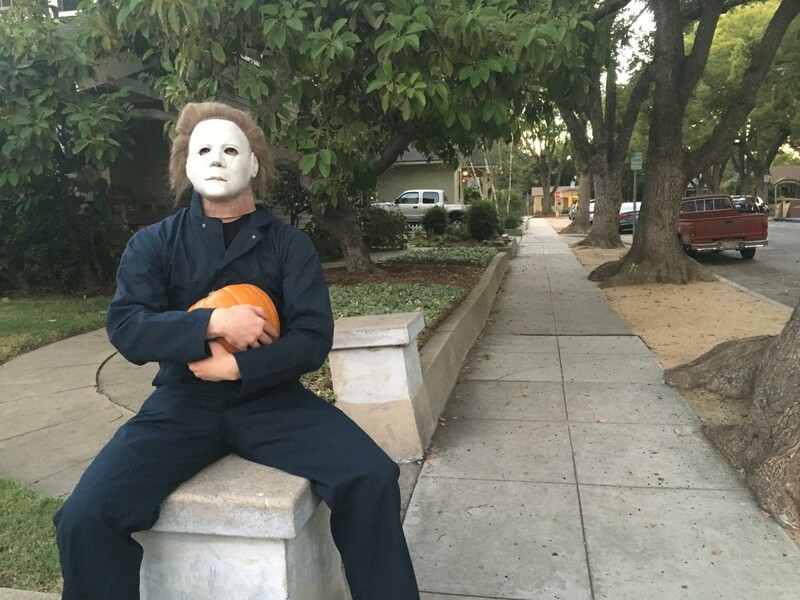 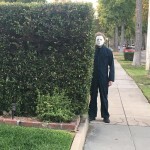 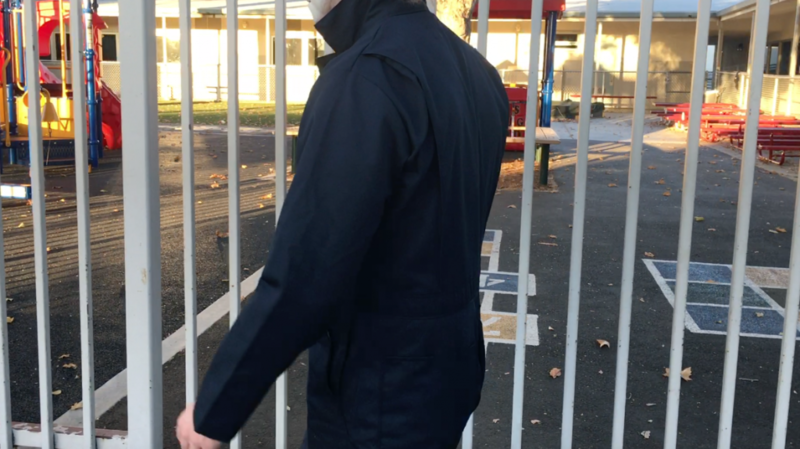 Michael — waiting for Laurie. 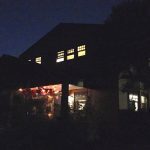 The old hardware store is now a restaurant. 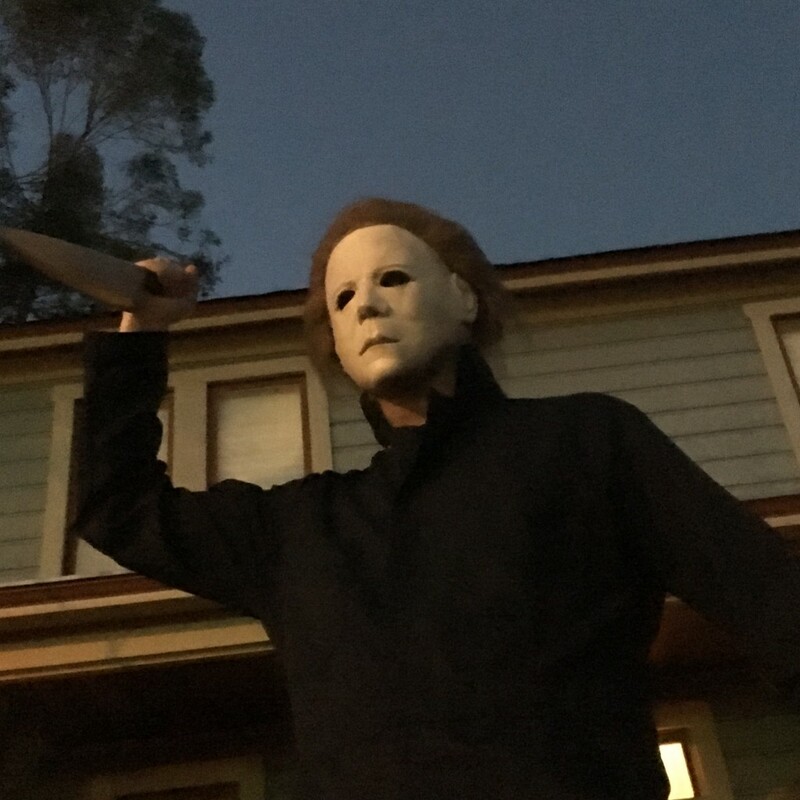 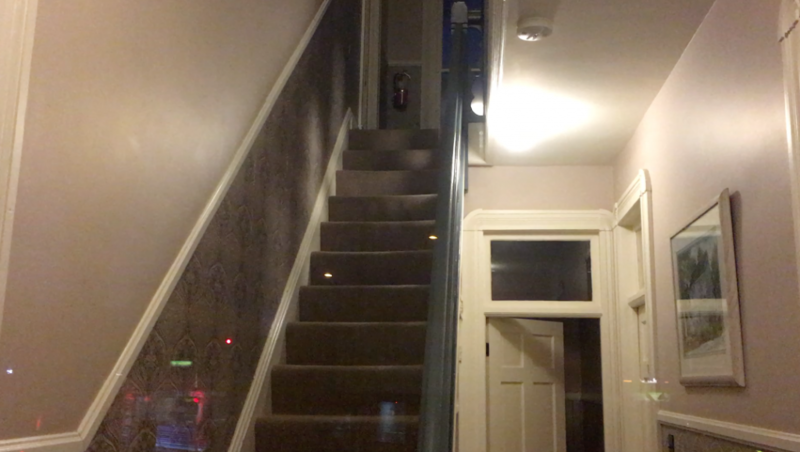 Inside the Myers house today. 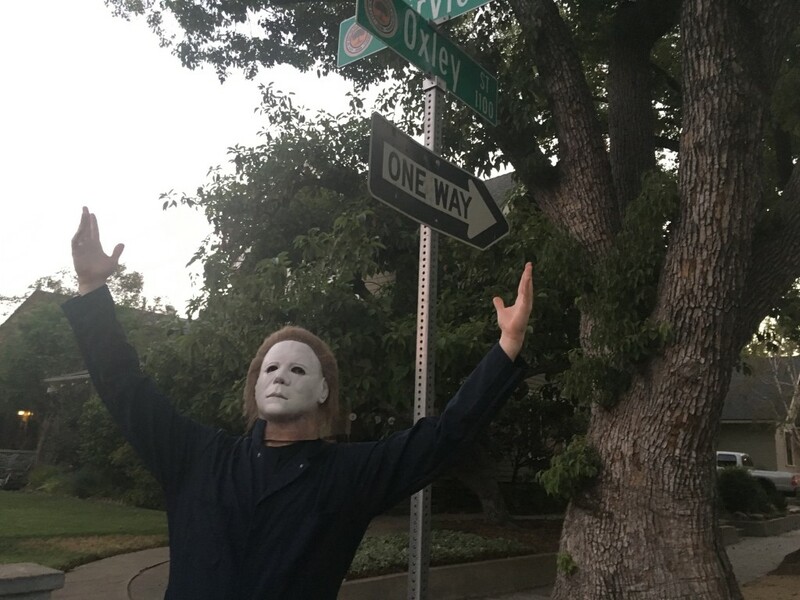 The intersection in front of Laurie’s house. 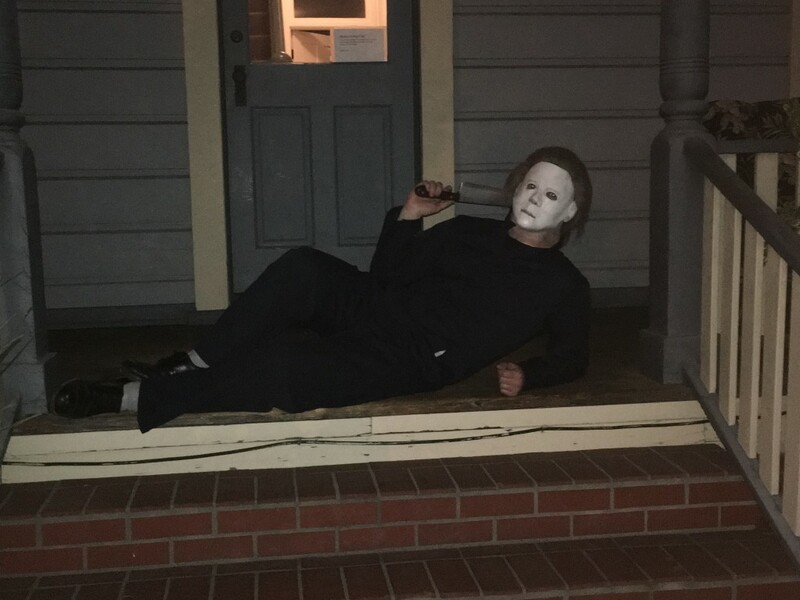 Relaxing on the porch of the Myers house. 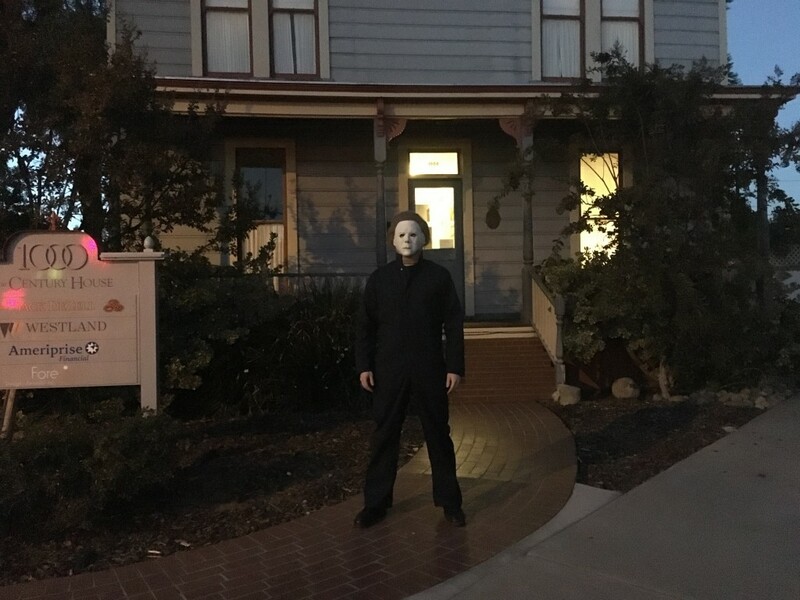 In front of the Myers house. 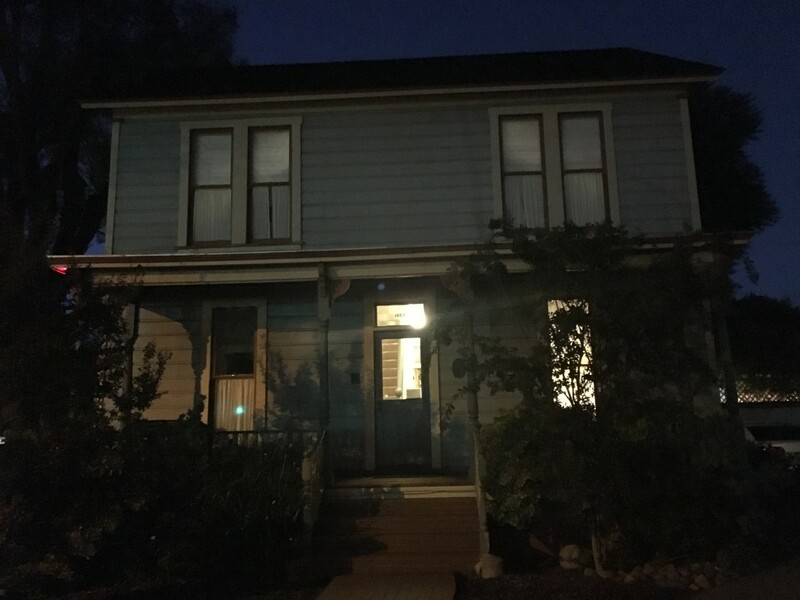 The Myers house as it looks today. 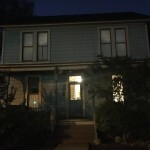 The stoop where Laurie sat. 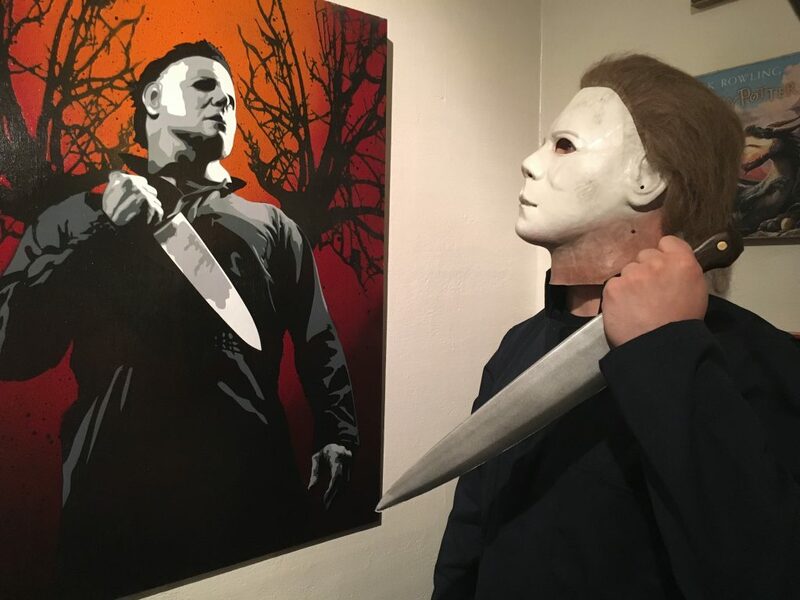 Gallery behind the Myers’ home. 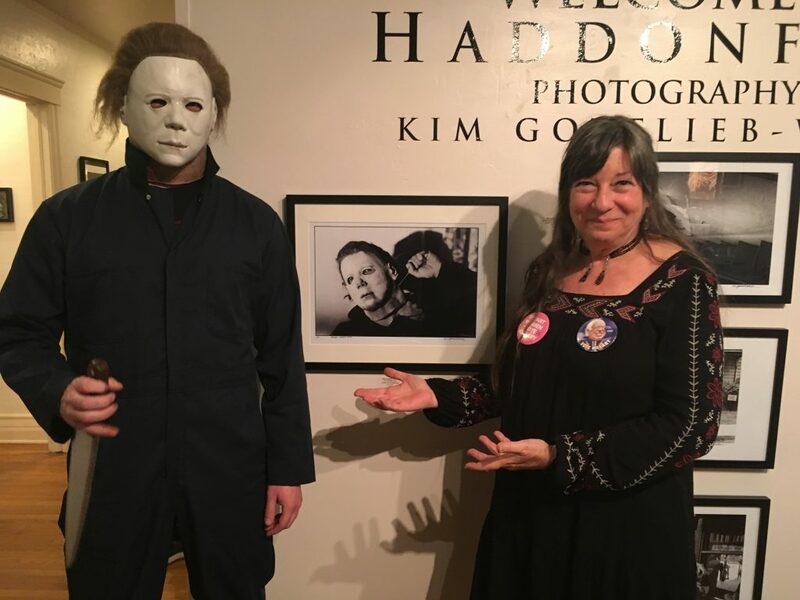 Kim Gotlieb, on-set photographer. 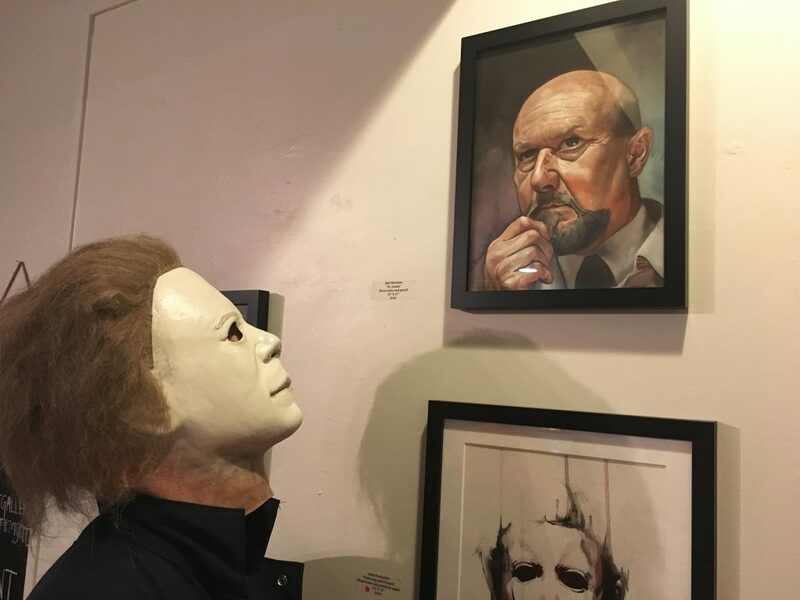 Gallery behind the Myers’ home.